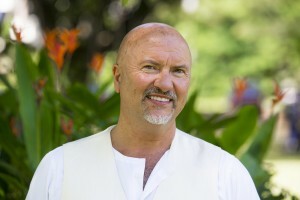 Robert Oliver, is an accomplished New Zealand chef, global award-winning author, TV presenter of REAL PASIFIK and Chef Ambassador for Le Cordon Bleu New Zealand and the Pacific Islands. Robert Oliver is a New Zealand chef who was raised in Fiji and Samoa. He has developed restaurants in New York, Miami, Las Vegas and Sydney, “farm to table” resorts in the Caribbean and food programs feeding homeless people and African immigrants with AIDS in New York City. Me’a Kai stunned the food world by winning top prize, “Best Cookbook in the World 2010,” at the Gourmand World Cookbook Awards in Paris, considered to be the Pulitzers of cookbooks, beating the books from NOMA and The New York Times. Robert is Chef Ambassador for Le Cordon Bleu, New Zealand and the Pacific Islands and is the presenter of REAL PASIFIK, a television series based on the food culture of the South Pacific. He is a features contributor to The Huffington Post (New York) and Global Gourmet Beijing. 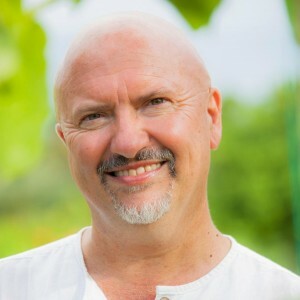 Robert was a keynote speaker at TEDx Auckland in 2013 and was one of the authors chosen to represent New Zealand at the Frankfurt Bookfair in 2012 and between 2011 & 2012 Consulting Chef for NZ Trade & Enterprise (NZTE) in China (based in Shanghai). In 2014 and 2015 Robert appeared as one of the Tasting Panel judges in “My Kitchen Rules New Zealand” and co hosted “Marae Kai Masters” with renowned actor Te Kohe Tuhaka on Maori TV”. Robert Olivier has recently presented at The Food Show with Cindy of Samoa. Click here to view clip. With 70 years of experience in more than 90 countries, Oxfam works to find practical, innovative ways for people to lift themselves out of poverty and thrive.